Have to agree with Fals here - this is a superb record.. 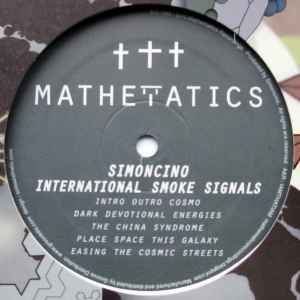 Either this record or Dreams are perhaps the most representative, polished and coherent examples of the unique sound Simoncino pushes. This record is full of mood and atmosphere - as is often the case with Simoncino it's the beautiful pads that really make this record and these really shine through on the A1 and B1. The B1 particularly reminds me of some of the tracks on Patrick Cowley's School Daze compilation. 'The China Syndrome' is a highlight also, carrying a sublime, mystical, late night vibe with a pad that could easily sit on an early B12 plate. The beauty of this record is that it works in the context of a DJ set and could be played up both old and new tracks.